With the 2018 WorldSBK season currently enjoying a long summer break, Honda’s WorldSBK Operations Manager Chris Pike took the time to review the highlights and challenges of the current campaign and what developments for the CBR1000RR Fireblade SP2 are on their way for the remainder of the season. Chris, you’re well into your first season as Honda’s WorldSBK Operations Manager – how have you found the role so far? I’m really enjoying it, it’s a little different from what I have done in the past but I feel much more confident in the role with every day that passes. So far it’s been quite a gentle landing for me because Marco Chini who I took over from, left me with a good base to work from. Now the challenge will be moving the project forward for next year. What has been the highlight of the season for you? Thailand and Laguna Seca. It was great to see Leon doing so well in race 1 in Thailand after the difficult season the team had endured in 2017, to me this showed the world that with the right rider on the bike it was a lot more competitive. The Red Bull Honda team and the bike had attracted some unfair criticism prior to this and for me this went some way to vindicating the teams hard work with the Fireblade. I was also really happy to see PJ do so well in race 2 as well, he had endured a tough start to the season and this result showed us much more of what he is capable of. Laguna Seca was another highlight because it was really nice to see Jake get his mojo back and show us what he could do on the bike, Laguna is a tricky and technical circuit and Jake did a fantastic job that weekend. And what has been the biggest challenge? The biggest challenge has been taking the next step with the bike so we can consistently challenge at the front. Obviously we want to be challenging for wins in WorldSBK and now we have to identify the areas where we are struggling and invest resources to allow us to make the necessary development. The performance of the Fireblade has improved this season but so have your competitors. What’s the main area Honda is looking to improve on at the moment? Our bike is very good in some areas, we have taken big steps with the switch to Magneti Marelli electronics and also with the chassis developments. We need to keep the momentum in these two areas and pick up more on the engine performance, the outright power is not so bad but we need to concentrate on the natural power delivery of the engine and rely less on electronics to smooth it out. 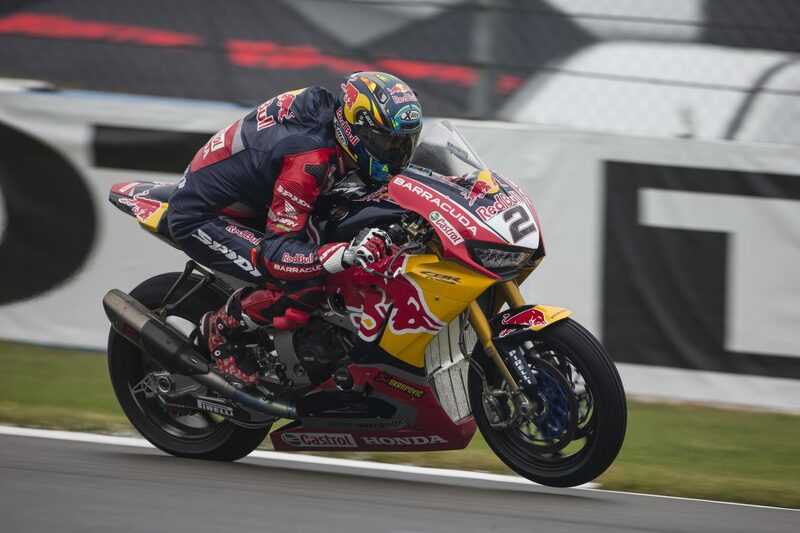 This year Honda has three CBR1000RRs on the WorldSBK grid, two with the Red Bull Honda World Superbike Team and one with Triple M. What are the chances of seeing even more Hondas on the grid in the future? Of course we would like to see more bikes on the grid, it’s the sign of a successful machine if everybody wants your bike. Matthias at TripleM has indicated to us that he would like to expand his team and we are currently in negotiations about this, although nothing has been confirmed at this stage. One of the remaining rounds is in Argentina. How will Honda approach this round, given there’s little information to go on right now? We have precious little information on the track so far, when you go to a track like this it’s difficult for everyone with no data to work with. Normally brand new tracks are very difficult to set up for because the track condition evolves so much from session to session. The tyre wear that you might see in FP1 would bear no resemblance to what you might see in the race on the same compound. It is a very tricky time for all involved. Before the next round, there is a test in Portimão. Are there any upgrades for the Fireblade that will be tested? We have quite a lot of things to test in Portimão, so much that we booked an extra couple of days of track time! We have an two different chassis options to test to get a direction for 2019, Akrapovič have built a new exhaust system for the Red Bull Honda CBR1000RR and there are some quite significant electronic upgrades to try. We also have a brand new engine specification to try out, so it’s fair to say that the team will be busy during the upcoming tests!